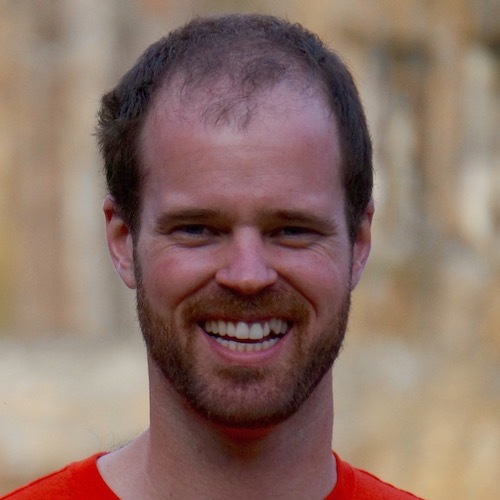 Back in July, I posted some analysis of my attempt at weight loss. Now that I’m four months further down the line, I thought I’d post a follow-up. I continue to be fascinated with how noisy my weight time series is. While I’ve continued to lose weight over time, my weight goes up two out of five mornings. 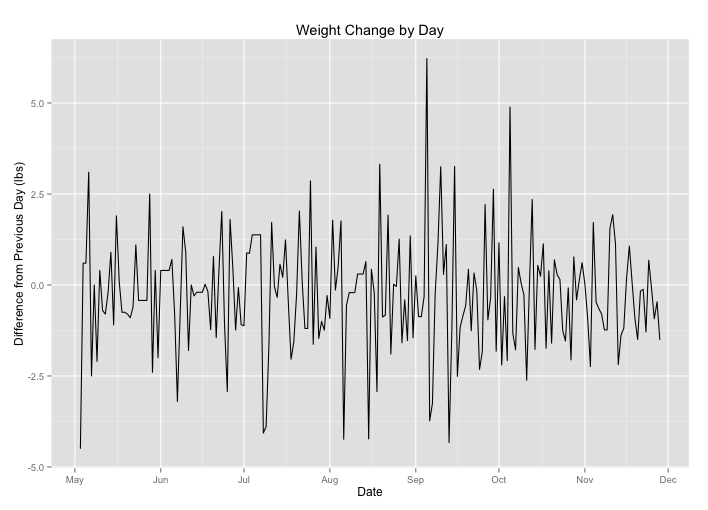 I have wondered recently if my average change in weight is correlated with the day of the week. 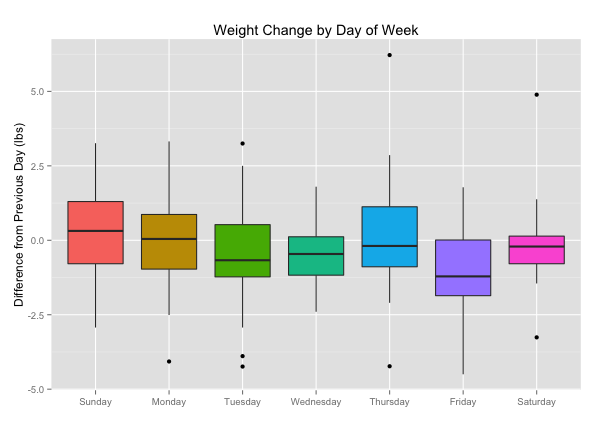 My hypothesis is that my weight tends to go up over the weekends, so I created a boxplot of my change in weight categorized by day. I wish I had a good explanation for why the change on Friday is so dramatic, but I don’t. Any guesses?